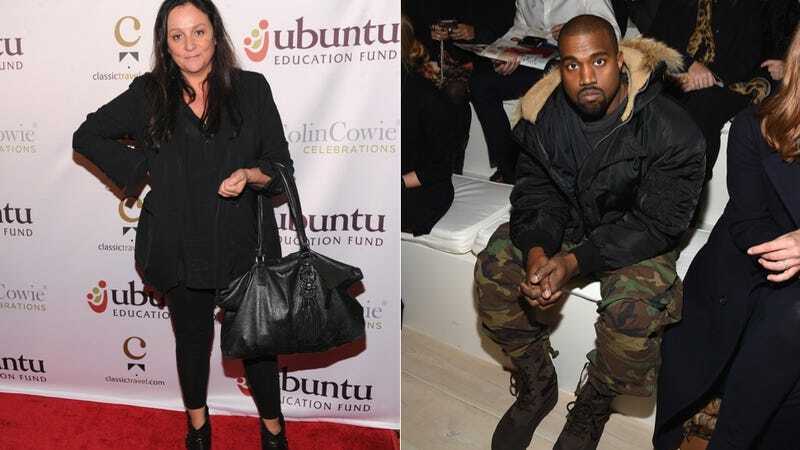 Kelly Cutrone, fashion's most important thought leader, has taken a break from mentoring Whitney Port or whatever to continue her one-sided war against Kanye West. "I'm not into his fashion thing. I think he's fine as a rapper. I think he's a joke as a fashion designer." I am not Kanye's biggest fan, but no, delusional "insider," you are not allowed to edge him out of the game. "Kanye's really arrogant. Anna Wintour, myself, Gisele Bündchen — we're not making rap records. We're not going like, 'we're the most important things to rap since NWA' .. it's just like, stop it." Actually, Kelly and Kanye kind of sound like two peas in a pod.